New yoga event at CoreLife Eatery (Brighton)! 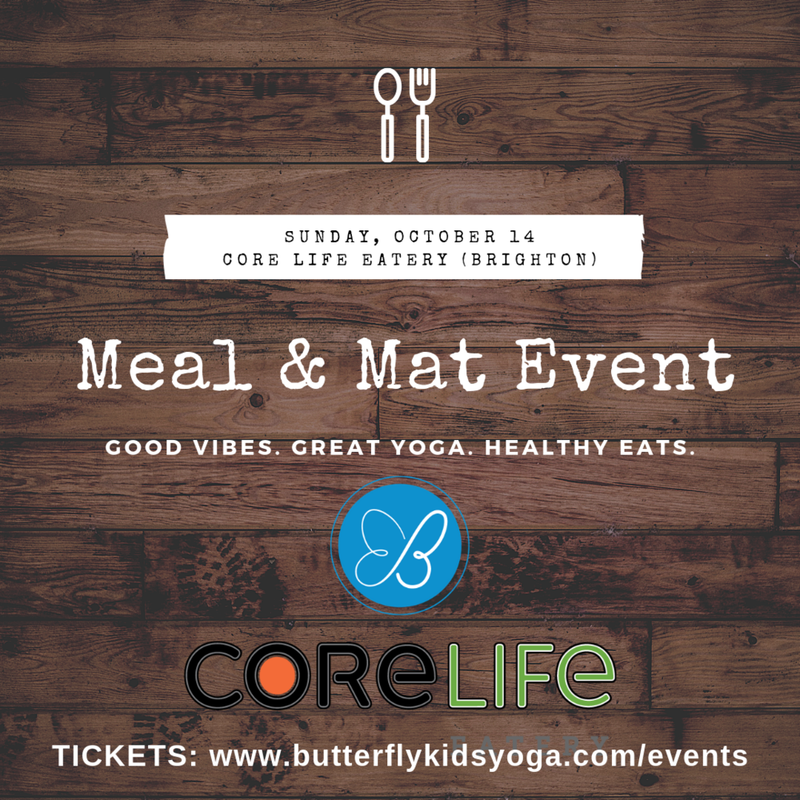 We’re teaming up with CoreLife Eatery to bring you our first “Meal & Mat” event at their brand new eatery in Brighton’s Twelve Corners! Such a beautiful new space. Plus yoga for your kids. Plus yummy food to fuel the body and the soul. Roll out your mat for a great Butterfly Kids Yoga class. Yoga will take place at 11AM (geared for ages 5+) in Core Life Eatery’s private Yoga Room. Yes! A separate room in the eatery 100% dedicated to yoga. So cool. Fuel up with a clean, healthy and delicious lunch after class. Pre-select your meal size when you sign up and customize it when you arrive. After yoga, enjoy lunch before you carry on with your day. Complimentary hand-crafted beverages for all. Why stop at healthy, power-packed bowls? All attendees (and parents!) will be able to enjoy great tasting teas, lemonades & coffees. Always fresh and hand-crafted. Parents, relax, socialize and check out the new space while your kids enjoy class. Take the opportunity to check out the new space, enjoy a tasty beverage and relax until lunch! I’m super excited to be partnering with the great team at CoreLife to bring this new event to our community. Hope to see you there! Tuesday, 10/2 @ 6pm. Restorative vinyasa flow with Ellen Baker. Enroll here. Tuesday, 10/2 @ 6pm. Geared for ages 5-12. Enroll here. New sessions begin in a few weeks in Webster (Mon), Spencerport (Tues), Victor (Thurs) and Perinton (Fri). View dates and enroll here. Saturday, 10/27 @ 10:30am. 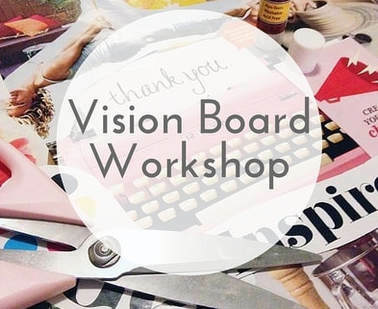 Tween/teen yoga + create your own vision board crafting (co-led with Butterfly Kids Yoga & Whole Person Wellness). Learn more here.